Jose De Ocampo, MD, D, ABSM, Neurologist is noted for his extensive knowledge in the fields of neurology and sleep medicine. Currently, Dr. De Ocampo continues to provide excellent care to patients at Arizona Neurology and Sleep Center in Scottsdale, Arizona. Dr. Jose De Ocampo, MD, D, ABSM, is a highly-experienced neurologist and sleep medicine specialist in Scottsdale, Arizona. Dr. De Ocampo earned his medical degree in 1992 at De La Salle University College of Medicine in Manilla, Philippines. Upon completing medical school, Dr. De Ocampo relocated to the United States and completed an internship at Allegheny General Hospital. Following his internship, he would complete his first residency at the same facility. Upon finishing his residency, Dr. De Ocampo would complete his first fellowship at Pennsylvania University of Pittsburgh Medical Center. His second residency would then be served at the Medical University of South Carolina. Following this, he would complete his second fellowship at the Cleveland Clinic Foundation in Cleveland, Ohio. In 2001, he entered private practice. A quadruple board certified neurologist and sleep specialist, Dr. De Ocampo provides treatment for a wide range of neurological conditions and sleep disorders. Some of the conditions that Dr. De Ocampo commonly treats include dementia, diabetic peripheral neuropathy, hemorrhage stroke, insomnia, obstructive sleep apnea, peripheral nerve disorders, movement disorders, epilepsy, neuromuscular disorders, and restless leg syndrome. Some of the procedures carried out by Dr. De Ocampo include nerve and muscle testing, home sleep studies, dementia screenings & EEG testing. His hospital affiliations include Banner Baywood Medical Center, Scottsdale Healthcare Shea Medical Center, and Scottsdale Healthcare Thompson Peak Hospital. Dr. De Ocampo appeared on the new series MTV SUSPECT season 1 episode 4. In this episode of MTV SUSPECT, Quinton suspects that his brother Jeremy's brain condition has returned. You can watch the full episode here. Tonight, Nev and iO took on two more cases and, as usual, I was completely focused on the show, but one case, in particular, kept me engrossed because a rare medical condition was involved. Case 1: Nev and iO traveled to Arizona to meet with Quinton, who was very concerned about his brother Jeremy. Jeremy is a professional runner and he is currently training to run in the 2016 Olympics. A couple years ago, while Jeremy was training for the 2012 Olympics he was diagnosed with hydrocephalus, which is a rare medical condition that involves the brain. With this condition fluid builds in the brain, which leads to pressure in the skull and causes the head to enlarge. After Jeremy was diagnosed, he had to stop training because he needed to undergo chemotherapy and respiration to help get rid of the tumors that were also found. According to Quinton, Jeremy had been acting strange. He’d been losing weight, throwing up, experiencing nose bleeds and he noticed that his running performance had started to decline. He got in contact with the show because he was afraid that the hydrocephalus had returned. This case was very touching. It was sad to watch, but when they actually met with Jeremy and found out what was really going on with him, things got a little worse. What they found out was heartbreaking, but the way they handled the situation closed the case perfectly. I’m not going to say anymore because I don’t want to give too much away, but this is definitely a case that you should watch. Dr. De Ocampo has been named as one of Phoenix Magazine Top Doctors for Neurology/Sleep Medicine 2016, 2015 and 2012. Your patients have recognized the compassion you bring to your care. Because of your unique approach, you’ve been awarded the 2015 Vitals Compassionate Doctor Recognition! Congratulations to Dr. Jose De Ocampo for being named as one of Phoenix Super Doctors for 2012, 2013 and 2014! 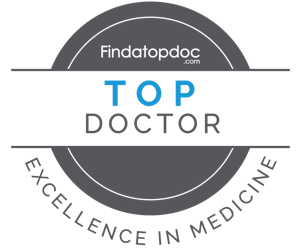 Super Doctors identifies top doctors as selected by their peers and the independent research of MSP Communications. Super Doctors is published online and also in print as a special advertising section in leading newspapers and city and regional magazines. Congratulations Dr. Joel De Ocampo for this prestigious award! I am pleased to announce that - Arizona Neurology & Sleep Ctr has been selected for the 2012 Best of Scottsdale Awards in the Neurology Physicians category by the Scottsdale Award Program committee. The selection of his company is a reflection of the hard work of not only himself, but of many people that have supported his business and contributed to the subsequent success of his organization. Congratulations on joining such an elite group of small businesses. ■ A study cites a lack of payment from insurers to physicians for electronic monitoring and an unwillingness among patients to pay for that service. Joel De Ocampo, MD, a neurologist and sleep specialist from Scottsdale, Ariz., is disappointed that he can't read his patients' headache journals on his smartphone. His patients have expressed similar regrets. And yet, Dr. De Ocampo's patients are still writing their journals on paper, and he is still reading them in that format. The mobile disconnect between Dr. De Ocampo and his patients -- and other physicians and their patients -- is happening for two major reasons, according to a study released by the PwC (formerly known as PricewaterhouseCoopers) Health Research Institute. One is a lack of connectivity between mobile phones and practice and hospital systems. The other is money. PwC says the inability of many practice and hospitals electronic medical records systems to integrate data from smartphones isn't stopping doctors from using them, but it is limiting their use. Meanwhile, money is an issue, according to PwC, because of a lack of payment from insurers to doctors for electronic monitoring of patients, and an unwillingness among many patients to pay for that service themselves. "Unfortunately, the payment wires are crossed," PwC said. The survey, which included about 2,000 patients and 1,000 physicians, didn't determine an overall smartphone ownership rate for both parties. But it painted a picture of doctors and patients who each were enthusiastic mobile users -- just not with each other. About two-thirds of doctors using their smartphones in the course of a practice day said they could not connect the devices to a practice or hospital electronic medical records system. The report notes that such a barrier is keeping physicians from using their smartphones as much as they would like, particularly in tasks such as patient monitoring. Dr. De Ocampo said he is frustrated that his device won't connect to his EMR. "I just want to have the ability to tweak the EMR system to work in a way I am comfortable with," he said. Cliff Bleustein, MD, a director at PwC on the advisory team overseeing the research institute's survey, said it will take a joint effort "not only from hospital environments but from information technology vendors as well as telecommunications companies." The report noted that most medical practice EMRs aren't able to integrate with their doctors' smartphones. Hospital EMR systems, even if they could be integrated with doctors' smartphones, are struggling to have enough bandwidth to process the information they have. Reimbursement becomes a stumbling block because in most cases, physicians are not paid for communicating electronically with patients, whether through a mobile device or some other form. The report quoted some insurers who said they still are waiting for proof that mobile health monitoring saves money before they start reimbursing for it. Meanwhile, 40% of doctors said 11% to 30% of their office visits could be eliminated with mobile monitoring of patients. PwC said this could affect the severity of any future physician shortages. Left unanswered in the report was how physicians would make up revenue lost from fewer office visits. Only about half of patients surveyed said they would pay for some sort of mobile health technology or device, according to PwC. Of those who would pay, most would prefer to spend less than $10 a month for the service, and less than $75 for any device. Patients also said they would like those costs to be picked up by a third party. One observer quoted in the report, Mike Weckesser, director of emerging business-health solutions at Best Buy, said consumers' expectations that insurers would pay for mobile health monitoring was "slanting the data" on their supposed willingness to cover the cost. Based on the amount consumers are willing to pay for some of these services, the potential market for remote/mobile monitoring devices is estimated to be between $7.7 billion and $43 billion annually, according to PwC research. The report noted that mobile devices might have physicians finding themselves connected to patients with whom they previously had relatively little interaction. For example, while most surveys show women to be the health decision-makers in most households, the PwC study showed that men were more likely to express an interest in connecting with a doctor through a mobile device. Those who are individually insured and patients who had delayed visits were more likely to be willing to pay for smartphone contact. Medicaid patients were found to be the most active text-message senders of any class of insured or uninsured, with 79% of Medicaid recipients with phones considered active texters. The report was less positive about contact with chronic patients, saying those in good health, rather than bad, were likely to participate in and pay for mobile health monitoring. Despite the barriers, some physicians are forging ahead. Claudio Palma, MD, a San Francisco-based anesthesiologist and pain management specialist, said he implemented mobile technology into his practice to make his life easier. Dr. Palma mostly uses resource applications, such as drug references. He said it's convenient to have that resource with him wherever he goes. "I'm a pretty busy guy. I'm running around, I have a couple of practices, I see tons of patients, and this really allows me to deal with all the information that's coming from all different sources." Daniel Slaughter, MD, an otolaryngologist and facial plastic surgeon from Austin, Texas, said he foresees app development becoming customized so that apps can be designed with each specific practice and physician in mind. His practice is working on one that will allow him to access his EMR in a read-only mode from his iPhone. He is able to open attachments from his EMR sent to him by his nurse. The momentum for mobile technology in health care mostly has been pushed by technology and telecommunication companies, the study points out. But it found that doctors and hospitals could create their own revenue streams by developing mobile products for their patients. According to the survey, consumers said hospitals are the preferred place to purchase mobile health products, and physicians are overwhelmingly the most trusted source of health information. The print version of this content appeared in the Oct. 11 issue of American Medical News. A survey on the use of mobile devices found that 88% of physicians are interested in using mobile devices to track and monitor patients. The things they are interested in monitoring varied. While a survey on physicians, patients and smartphones did not specify how many were using them, it did break out how many patients who owned mobile phones used them for texting -- making them a likely audience for mobile health. Copyright 2010 American Medical Association. All rights reserved. J Clin Neurophysiol. 2006 Feb;23(1):68-71. Accuracy of seizure detection using abbreviated EEG during polysomnography. Foldvary-Schaefer N1, De Ocampo J, Mascha E, Burgess R, Dinner D, Morris H.
The purpose of this study was to determine the validity of abbreviated EEG montages for seizure detection during polysomnography. Three electroencephalographers reviewed files containing seizures or nonepileptic events using 8- and 18-channel montages. Files were rated as to whether they contained seizures and assigned a "probability of seizure" score from 0% to 100% reflecting the confidence that it was a seizure. Readers then localized seizures as temporal, frontal, parieto-occipital, or nonlocalized and provided a probability of correct localization with 0% to 100% confidence. Data were analyzed using the Adjusted McNemar Test method of Obochuwski. The probability of seizure score was measured using the receiver operating characteristic curve. Observed agreement was 78% and 84% for 8- and 18-channel montages, respectively. Readers were better able to distinguish seizures from nonepileptic events using the 18-channel montage (P = 0.004). Seizures localized to the temporal and parieto-occipital regions were more likely to be correctly identified and localized. Readers were able to correctly localize 27% and 49% of seizures using the 8- and 18-channel montages, respectively (P < 0.001). Abbreviated EEG montages are inadequate in the differentiation of seizures and nonepileptic events arising from sleep during polysomnography. This seems to be particularly true in frontal lobe epilepsy. Sleep-related eating disorder (SRED) is characterized by nocturnal partial arousals associated with compulsive consumption of food and altered levels of consciousness. Reports of an increased incidence of SRED in relatives of affected individuals suggest a genetic predisposition. We report a woman with SRED whose fraternal twin sister and father are also affected.